Drumming is now well documented to have a positive effect on overall general well-being and several studies have been carried out which provide scientific evidence to support this. Before looking at the science, we know drumming is fun! It transcends age, social, cultural and language barriers as rhythm is a universal language and has been a tradition in nearly every culture for centuries. Drumming grounds us in the present moment. When a person is firmly grounded in the present, stressful situations in the past are forgotten and worries of the future are reduced. Studies show that participating in drumming circles boost the immune system. Barry Bittman, MD, neurologist and President of the Yamaha Music & Wellness Institute, has shown that group drumming increases natural T-cells :- blood samples from participants of an hour-long drumming session revealed a reversal of the hormonal stress response and an increase in natural killer cell activity (T-cells) (Bittman, et al. 2001, Alternative Therapies, vol. 7, no. 1). Further research has demonstrated that drumming increases alpha waves in the brain which are associated with meditative calming states and feelings of euphoria, as opposed to beta waves which relate to concentration. Drumming is a great workout for our brains and can make us smarter. When you drum, you access your entire brain. Research shows that the physical transmission of rhythmic energy to the brain synchronizes the left and right hemispheres. So, when the logical left hemisphere and the intuitive right hemisphere of your brain begin to pulsate together, your inner guidance system – or intuition – becomes stronger. We also know that engaging the brain in this way can reduce (and in some cases, reverse) the effects of trauma. There is more research documenting how drumming helps many conditions such as PTSD, Alzheimer’s, ADHD, Addictive Personality, Depression and chronic pain to name a few. Rhythm is all around us and this seems to have been forgotten. The sun, moon, and the seasons follow regular rhythms. Our bodies have natural rhythms; we all have a heartbeat! In our fast paced, demanding, social media driven lives, we often forget to listen to ourselves and what is around us. Recent scientific ‘string’ theories even suggest that on a subatomic level, the smallest particle of the universe (that which makes up all things) is nothing more than tiny vibrating ‘strings’ and that their vibration, or rhythm, is what makes things what they are. Under this theory, everything is rhythm – literally! Participating in a drum circle connects us to our own rhythm, the group and the natural rhythms of the universe. It is a powerful shared experience which encourages us to listen to ourselves and each other. It has been used as a successful team building experience to teach groups to work together, to listen to each other, and to achieve common goals. It discourages isolation and promotes group involvement and connectedness. Anyone can benefit from drumming and enjoy an enhanced sense of well-being. 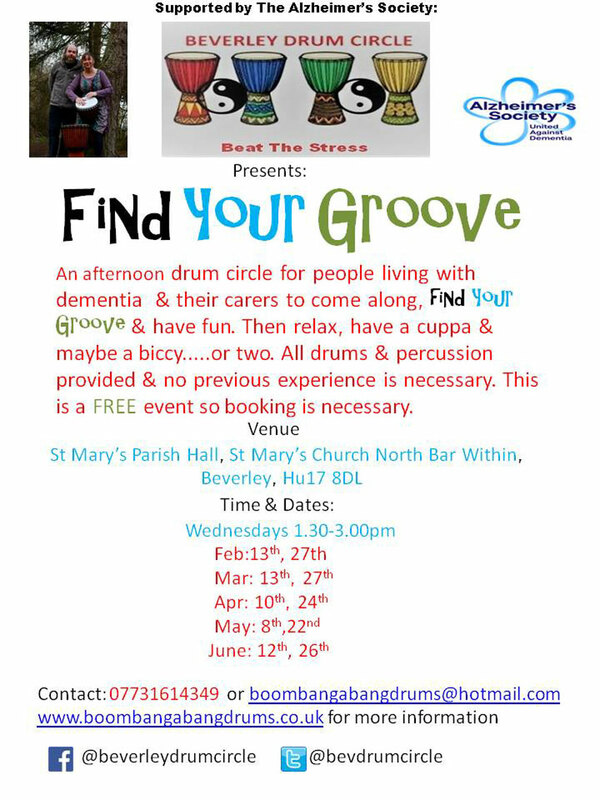 In a nutshell – drumming circles are fun and good for your health in every way.